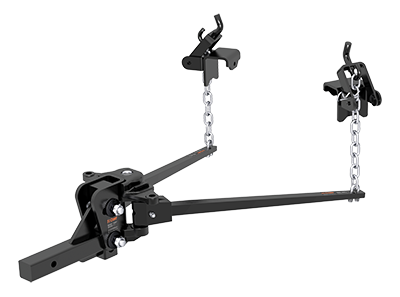 CURT trunnion bar weight distribution hitches offer precise leveling of your towing setup. They are available in capacities from 5K to 15K and can be purchased as a kit with an included pre-torqued trailer ball and sway control unit. We also offer highly durable pin-style WDs.